Last Updated: February 26, 2019 | Subscribe to our weekly newsletter! Before you bought a pool filter, the word backwash probably meant something kind of gross to you, right? Well, when it comes to pools, it has a literal meaning. And it’s something good. Your pool is only as clean as your filter is. The good news is, keeping it clean doesn’t always have to entail taking it apart and washing every little crevice. And it all happens once you learn how to backwash a pool filter. You know you have to keep your pool filter clean. But when it comes to how to clean a pool filter, why is backwashing a good method? As pool water passes through your sand or diatomaceous earth (D.E.) filter, it leaves behind dirt, oils, and other debris, which are collected in the filter medium—either sand or D.E. powder. Over time, as water continues to pass in just one direction, the filter medium will become clogged, which will reduce your filter’s effectiveness. When you backwash the filter, you send pool water backward through the filter, and out the waste or drain port. This forces all the debris caught in the filter to dislodge so you can easily remove it and restore the filter’s normal functioning level. Think of it like using a strainer in your kitchen sink. 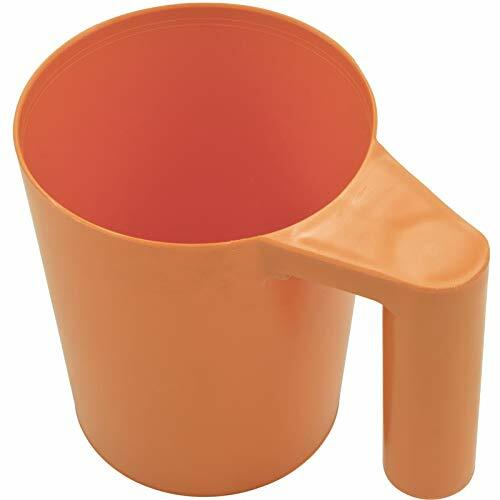 Bits of food can get stuck along the bottom of the strainer, and the only way to get them out is to turn the strainer over and run water through it from the opposite direction. Backwashing a filter works on the same principle. While backwashing in general works the same regardless of the type of pool filter, the procedures do vary a bit depending on the type. Before you get started, you’ll need a few supplies. Backwash hose If you click this link and make a purchase, we earn a commission at no additional cost to you. Diatomaceous earth powder If you click this link and make a purchase, we earn a commission at no additional cost to you. This cake, along with the filter grids inside, helps to filter out very fine particles If you click this link and make a purchase, we earn a commission at no additional cost to you. .
How Much D.E. Powder Will You Need? This will vary depending on the type and size of filter you have. Always refer to your owner’s manual for specific information. In any case, D.E. 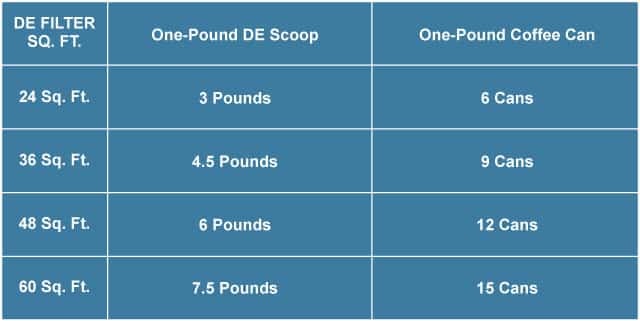 powder is measured in pounds, so use a one-pound D.E. scoop If you click this link and make a purchase, we earn a commission at no additional cost to you. to make measuring easy. In a pinch, you can also use an empty one-pound coffee can. You’ll want to set aside a little time to do this, but don’t worry. It’s not an arduous task that’s going to take all day because the multiport valve makes it easier on you. Turn off the filter system. Connect the backwash hose to the filter’s waste port. Turn the multiport valve to Backwash. If you have a push/pull valve, open the backwash gate. Turn the filter system back on, and let it run for about two minutes. This will allow pool water to flow out of the backwash valve or port. Turn the filter system off. Turn the multiport valve to Rinse, turn the system back on, and let it run for about another minute. Turn the multiport valve back to Filter. Add D.E. powder to the filter. Refer to your filter owner’s manual to determine how much D.E. powder you’ll need to add. Remove the strainer basket lid. Fill the basket with water, and allow some water to run through the incoming line. Mix the appropriate amount of D.E powder with enough water to make a slurry, which is a thin, creamy solution. Make sure the pump is running. Pour the slurry directly into the pool skimmer. Run the pool pump for at least 30 minutes to allow the D.E. to distribute evenly over the filter grids. Important: Never turn the multiport valve handle while the pool filter is on and running. This could cause the rubber diverter gasket inside the valve to come loose or break, which will in turn cause water to leak out of the wrong ports while it’s running. This procedure differs only slightly from the multiport valve process. Connect the backwash hose to the filter’s backwash port. Turn the filter system back on, and let it run for about three minutes. This will allow pool water to flow out of the backwash port. Just like the process for the D.E. filter, backwashing a sand filter cleans the sand inside the filter so it can better clean your pool water. Before you get started, you’ll need just one item. This is an even more straightforward process than backwashing a D.E. filter. 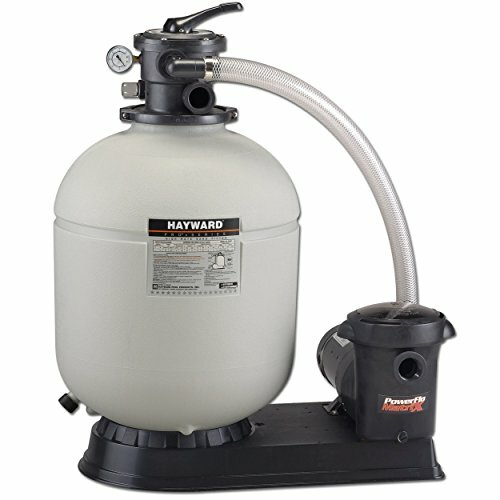 Attach the backwash hose If you click this link and make a purchase, we earn a commission at no additional cost to you. to the waste or backwash port. Turn the multiport valve to Backwash. Turn the filter system back on. Turn the multiport valve to Rinse. Rinse the filter for about 30 seconds. Turn the multiport valve to Filter. When you first set up your filter, whether it’s sand or D.E., take note of the pressure gauge reading. That’s your normal operating filter pressure. Over time, as the filter starts to accumulate dirt and debris, pressure will begin to build up because the water can’t flow as freely through it. When the pressure gauge reads 10 pounds per square inch (psi) above the normal operating level, it’s time to backwash. If it reads more than 10 psi over the normal level, it’s really time to backwash. While you could backwash before the pressure reaches the 10 psi over normal mark, we recommend waiting. Yes, your filter functions better when it’s not clogged. But before it gets to the fully clogged point, the presence of small dirt and debris actually helps your sand or D.E. filter work a little better. 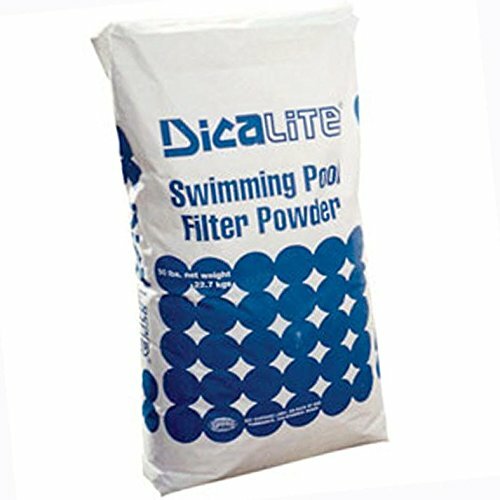 Those tiny bits of debris help to catch and stop other tiny bits of debris from getting through the filter medium, and making it back into the pool water. So, a clean filter is good. A slightly dirty filter is better. A clogged filter is bad, and needs a backwashing. Every time you backwash your pool filter, you could be pulling hundreds of gallons of water from your pool. Where is all that water going to go? Into your yard? The street? The creek behind your house? None of those are good options, and in fact, may even be illegal, depending on where you live. The water that comes out of your pool is chemically treated, and can damage plant life, groundwater, and aquatic life. Disposing of backwash water properly is essential, not just to avoid potential fines, but to keep your community and the environment safe from illness and damage. Some cities do allow pool water to be released into storm drains. But they may also require that you apply for a permit first. You may also need to reduce or eliminate chemicals or salt levels in the water before you’re allowed to dispose of it in your community’s sewer system. Check with your local water authority. You may be able to dispose of backwash water by directing it into one or more of your home’s plumbing cleanouts. Again, it’s best to check with your local water/sewer authority to ensure this is allowed, find out whether you need to treat the water in any way before disposing, and to obtain any necessary permits. It’s unlikely any municipality will allow you to release pool water into a septic system. You wouldn’t want to do that anyway. Septic systems rely on the existence of active enzymes to dispose of waste. Pouring chemically treated water into the tank—especially water with chlorine in it—would likely kill those enzymes, leaving you with quite a mess. These can be a life (or property) saver if you live in an area that sees a high level of rainfall, or experiences tropical storms. They can help prevent flooding and erosion. While a dry well could work for disposing of pool water, that’s not usually its purpose. Regardless of how many levels of gravel, sand, or other media the water may pass through, it will still end up in the ground, which means it can be a problem if you live in an area that doesn’t allow the disposal of pool water into the ground. Aside from the issue of permission, a dry well must be constructed by a professional, and it’s a project that can easily cost thousands of dollars. You can definitely find an easier, safer, and less expensive way to dispose of your filter backwash water. Your local water authority can help you. Or maybe just some dirty pool water. But keeping a kraken in your pool is all the more reason to keep the water clean. Anyway, when the time comes to backwash your pool filter, you’ll be ready with the right equipment and procedures. Take comfort in knowing you’ll be able to help your filter keep your pool clean, which will also help your filter live a longer life, which can save you money. Then you’ll be able to afford that cute little kraken you’ve been wanting to adopt. 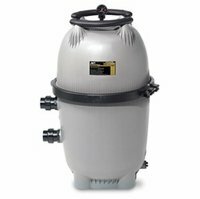 If you notice sand at the bottom of your pool and you own a sand filter, guess what? That's where it came from. Learn how to fix sand in pool. What is this multiport valve thingy? Don't worry, it's not as complex as it looks. 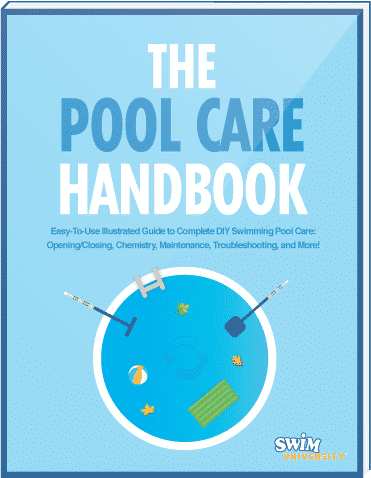 Once you learn about all those settings, you'll be in pool care heaven. Do you know how to clean a pool filter? Are you sure? Get crystal clear, pristine pool water by keeping any type of filter clean with a few easy methods. Learn all the ins and outs of the pressure gauge on your pool filter so you can troubleshoot your pool's problems and care for it properly. Should you get a sand, cartridge, or D.E pool filter? It depends on what you want to spend, and how much bacteria you want floating around in your water. 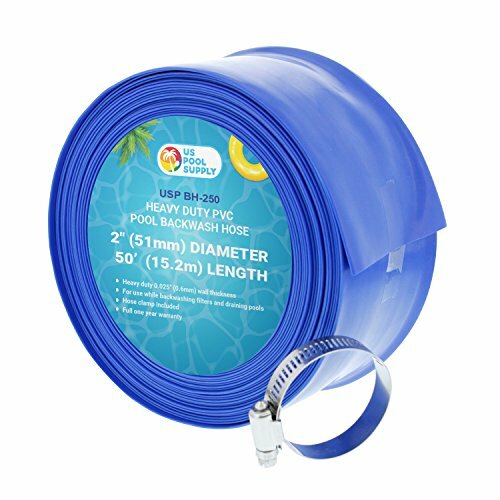 Save money, clarify pool water, and keep your family safe from dangerous water-borne illnesses by changing pool filter sand yourself, quickly and easily.